KHANYISA NKANTSU-SABUKA was born in Mdantsane in the Eastern Cape but is now based in East London. She has a strong religious background and both of her parents are born-again Christians. Her mother is also the founder of the gospel group Christ Ambassadors, which was established in 1967. KHANYISA grew up in a big family – 9 brothers and sisters. She started to sing at the age of 7 and it soon became evident that she had real talent. She became part of school choirs and was continuously commended for her excellent performances. The point came in her life when she accepted Jesus Christ as her personal saviour and dedicated her musical talent to the Church and Gospel music. She was one of the founder members of the group YOUTH WITH MISSION in 1995. Khanyisa became the lead vocalist and they went on to achieve popularity across the country. In 2003 she recorded her first solo album, which became a strong seller and notched up sales of over 25,000 – a Gold Record. She then released two further albums: EGOTHATHA and INKOSINAMANDLA. She excels as an artist, composer and producer. KHANYISA is a graduate from the University of Fort Hare. She graduated in Social Work with Honors and is currently employed by The Department of Social Development as a Chief Social Worker. She has become very involved in her Ministry and is often invited to perform at Gospel festivals, wedding ceremonies and many other similar events. In 2008 she released the album NKOSI NDITHEMBE WENA, marketed and distributed by Revolver Records. With this project the songs were structured to appeal to Gospel lovers of all ages. The message in the 12 titles is about hope and putting trust in the Lord. This album was produced by Sbu Nkantsu. The company is YWM Productions, under the management of her brother Mzi Nkantsu. Jamela Entertainment are also involved in the marketing and promotion. Three tracks were earmarked as hits and received strong attention on radio and TV nationwide. They are NKOSI NDITHEMBE WENA, WITHEMBEKILE UJESU and YOFIKA IMINI YENKOSI. 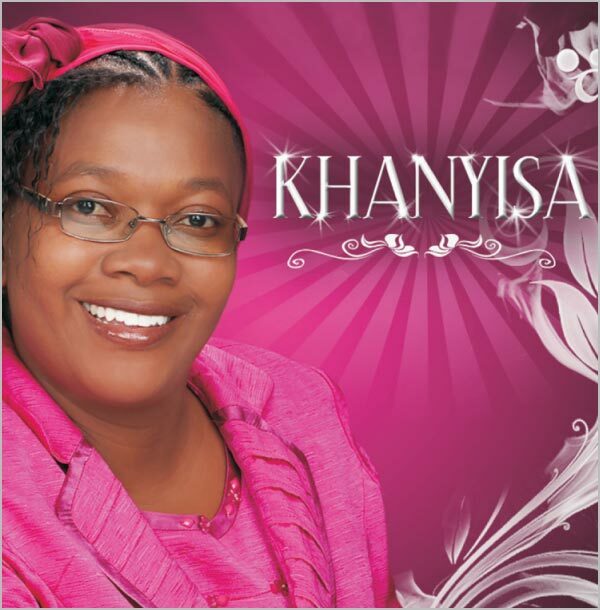 IN 2010 Khanyisa released the album and DVD UDOMO. Also marketed and distributed by Revolver Records, it gained strong attention and sold well. MARCH 2011 and her latest CD NXA SIMI NGAKUWE is released. It is destined for huge coverage and big sales are predicted.